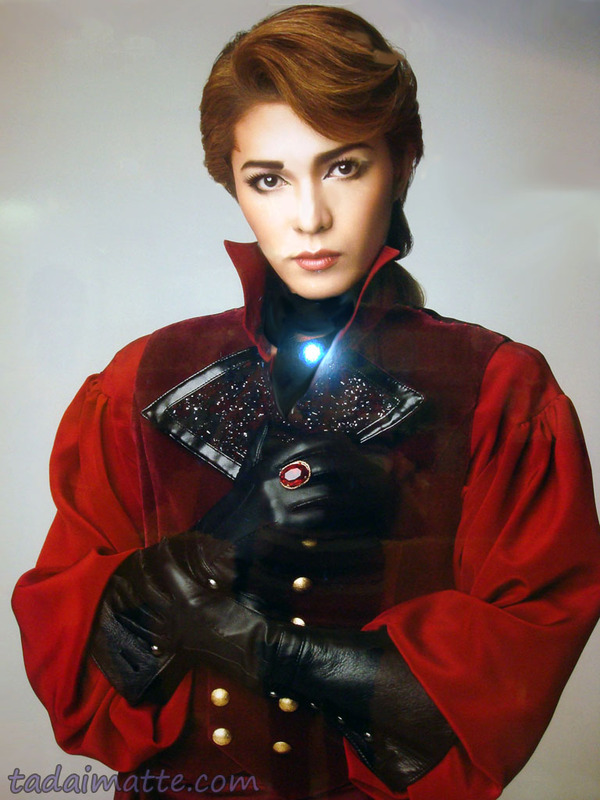 These two are Manaki Reika and Ryuu Masaki, popular stars in the world of the Takarazuka theatre. Ryuu/Romeo is an otokoyaku - that is, a woman who exclusively plays male roles within the troupe. Takarazuka's biggest draw is that it's for women, by women, even if the women are pretending to be men - and most of them pretend very well! The Revue was formed by Ichizo Kobayashi, then-President of Hankyu Railways, a private railroad well-known in Kansai. The city of Takarazuka in Hyogo Prefecture, popular for its hot springs, was at the time the terminus of Hankyu's train line from Osaka City. In 1914 he created the Takarazuka Revue to be a further tourist draw for the area, and designed it to be all-female, based on the way that kabuki was traditionally performed entirely by men. It wasn't long before the musicals and their finales with showgirl-costumes, sparkles and glitter charmed the women who flocked to see the shows. The Takarazuka Grand Theatre was built a decade later. 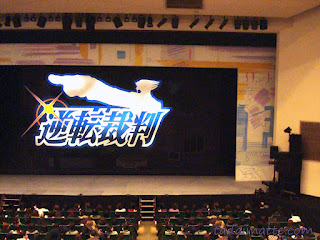 Since then, the Revue has performed hundreds of shows both original and adapted from Western musicals and Eastern classics, and has a second theatre in Tokyo. There are five troupes within the Revue that each have their own style and way of performing, and marquee showtime is rotated between them to ensure that each troupe has plenty of time to prepare their latest feature. The five are called Hana (Flower), Tsuki (Moon), Hoshi (Star), Yuki (Snow) and Sora (Cosmos). Each troupe is also associated with certain characteristics, such as Soa being the 'experimental' group as the newest of the five, Yuki is heavily operatic, Hana produces the top otokoyaku stars, and so on. Becoming a Takarasienne is tough. Training is competitive and starts at high school age. No more than 50 applicants each year are accepted to the Academy. Otokoyaku training is even tougher work, as they are expected to dress, behave and speak in a masculine form from their second year of schooling. They work on deepening their voices to sing and speak in a more masculine tone, and carry themselves as refined men would. The Takarazuka audience is said to be about 90% female, and looking at the real thing, I would have estimated the numbers to be even higher than that. While in Japan I saw multiple performances, including The Scarlet Pimpernel, Love and Death in Arabia / Red Hot Sea, Phoenix Wright, The Legend of the Great King and Four Gods and The Rose of Versailles -André- / Exciter! I was very excited to see Elizabeth, but they were very much sold out for the times we could go. I was drawn to Takarazuka when I heard they had performed The Rose of Versailles, a manga I particularly liked in my university days. Tezuka Osamu also drew inspiration from the Revue for his classic Princess Knight, which I'd read at the language orientation in Osaka and is often credited as the very first manga written for girls. 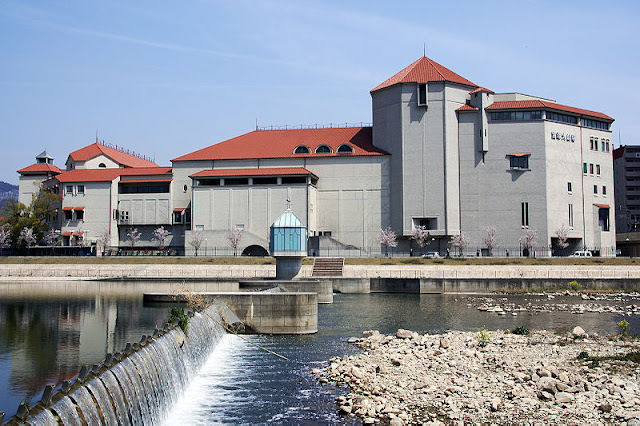 (Tezuka was raised in Takarazuka City and one of its other big draws is the Tezuka Museum - more on that in another post.) Luckily, Emily's host mother during her study abroad had been a fan and taken her a few times, and Laura and Marisa were also Takurazuka companions. One of my co-workers, Tanaka-sensei, was a huge fan and we went to see a Rose of Versailles side story together. I was so fortunate to have gotten to see so many shows - living in the Kansai area really does give you access to everything!